This Great Graphic comes from Vic Duggan's blog. The data comes from the Irish Central bank Monthly Statistics (October 2012). The first one depicts Irish Banks' holdings of sovereign debt. It illustrates what we have called "financial disintegration". This is the process of financial integration in reverse. It is characterized by a return of the home bias. 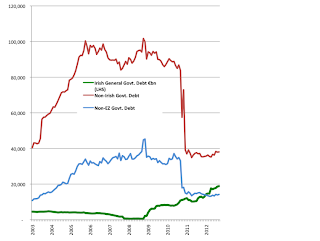 The chart shows that Irish banks increased their holdings of Irish sovereign bonds and reduced their holdings of non-Irish government debt, including the debt of other euro zone countries. 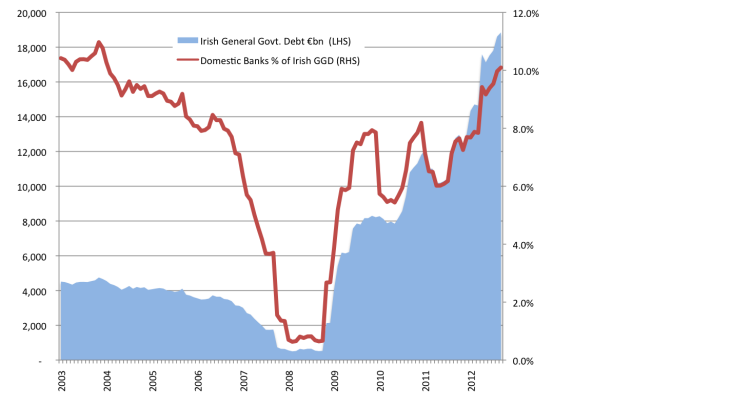 The lower chart looks more closely at Irish banks' holdings of Irish debt in the context of Ireland's rising debt. 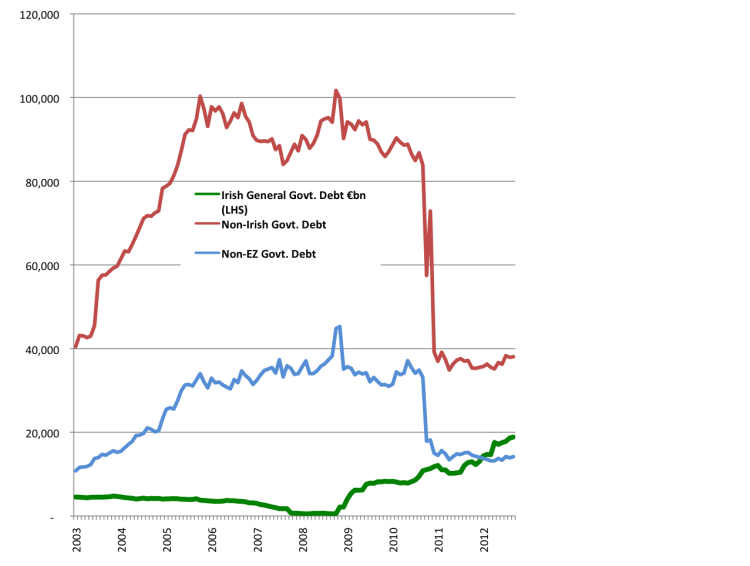 Simply put, Irish banks have dramatically increased their holdings of Irish government bonds, from a very low base. This reflects the recapitalization efforts and tightens rather than loosens the linkages between the sovereign and domestic banks. The largely nationalized banks are funding a large share of the government's deficit.